Online courses are posted as a subcategory of the Education category. Click here for a list. Life Collaborative: Biofuels and Renewables Immersion Program: The changing landscape of biofuels and other biofeedstock based products converges with tradition in this comprehensive learning track. This program is intended to acquaint the technologist-scientist with business fundamentals and the business professional with the essentials found in creating and manufacturing bio-renewable consumer products. 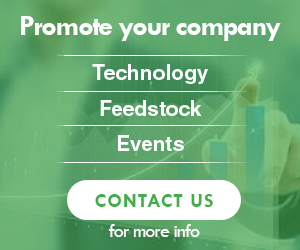 • Regional Events, Best Practice Blogs, Member Profiles, Webinars, Links to Skill Building Resources and More! Marylhurst University, Oregon M.S. Sustainable Business, Concentration, Renewable Energy Marylhurst University is a private liberal arts university located 10 miles south of Portland, Oregon, offering undergraduate and graduate degrees as well as professional certificates. Pennsylvania State University: Penn State’s Biomass Energy Center sponsors an annual series of advanced short course training opportunities for emerging bioenergy topics. National and international experts in biomass energy are brought together to deliver the latest developments in bioenergy, and to provide an opportunity for the biomass energy industry to meet fellow stakeholders and network with other bioenergy experts. 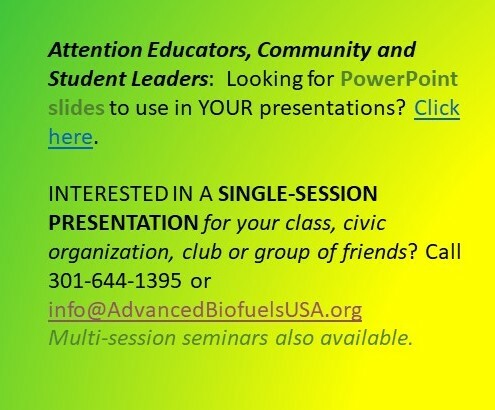 Southeastern Illinois College Biofuels Certificate, Online Courses Southeastern Illinois College in Harrisburg has created a biofuels education program. The program debuted for the Fall 2010 semester with two online courses: Energy 111 – Intro to Biofuels, and Energy 151 – Ethanol Production. Two more courses in the program are planned for the Spring 2011 semester: Energy 131 – Biodiesel Production, and Energy 211 – Biofuels System Technology, also both online. By offering all of SIC’s biofuels courses online, they are just as accessible to students outside the college district as for those inside. Students enrolled this fall range from local district students, to residents from as far away as New Jersey, South Carolina and Nebraska. The courses are also very affordable – just $83 per credit hour, plus fees. “This innovative ethanol and biofuels program will educate and train workers in support of the Renewable Fuels Standard directive – which is leading our nation toward energy, economic and environmental security, while providing jobs for American workers,” said Renee Loesche, who teaches all of SIC’s biofuel courses. SIC’s online courses alone provide students with a greater understanding of all levels and aspects of the biofuels industry, including production, byproducts, promotion, marketing, pricing and distribution. These courses will help make students more attractive to plant operators looking for highly qualified employees as the industry continues to grow and expand. In addition, for those wanting to obtain further and more in-depth training, the college offers certificates in biodiesel, ethanol and biofuels production. 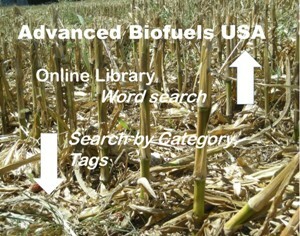 The biodiesel and ethanol certificates are one-year programs that also include some core classes, while the biofuels certificate is a fast-track, one-semester program concentrating on renewable energy courses and math, science and computer skills that would be relevant to careers in the field. However, the 12 credit hour certificate in Biofuels Technology and Sustainability, can be earned completely online. At Syracuse University, we believe in an education that transcends traditional classroom learning. With this mission in mind, the faculty of the L.C. Smith College of Engineering and Computer Science has created dynamic online programs to empower students around the globe to earn a degree from Syracuse while continuing to work in their careers. The Master of Science in Computer Engineering program consists of 30 credit hours over 20 months. Topics of study include hardware, software and security assurance systems. Students engage in dynamic lectures, discussions and practical coursework led by Syracuse’s distinguished faculty of professional engineers and prominent researchers. Click here to learn more about the online M.S. in Computer Engineering. Syracuse’s online Master of Science in Electrical Engineering immerses students in a 30 credit hour curriculum over 20 months. Electrical engineering students explore topics including digital communication and circuits, electromagnetic fields and signal processing and system design through Syracuse’s unique and concentrated educational experience. Click here to learn more about the online M.S. in Electrical Engineering. University of California, San Diego Biofuels Certificate Program As the biofuels industry continues to develop and mature, there will be an increasing demand for a well-trained workforce, including research and development scientists, engineers, and field technicians, through to policy analysts, business development professionals and project managers. Training will also be required by the support industries, which will no doubt be springing up as the biofuels industry grows. Even at this early stage, biofuels research and development in the San Diego region constitutes an increasingly robust cluster of economic activity and employment opportunities. A 2011 analysis, conducted by the San Diego County of Governmentsï¿½ (SANDAG) economic bureau, reports that for the algae sector alone, the industry currently provides the San Diego region with 466 direct jobs and $81 million in direct economic activity and $157 million in total economic activity annually. With increasing pressure on fossil fuels and the movement to develop clean, renewable alternative energy, the biofuels sector is set to grow at an impressive pace. Biofuels Science Specialized Certificate The Biofuels Science Certificate is aimed at training professionals for field and laboratory roles in the growing biofuels industry. It provides students hands-on technical knowledge and experience in laboratory techniques used in biofuels production, analysis and processing. NOTE: This is a hybrid program. Lectures are completed online. The laboratory components are completed during summer quarter at the UC San Diego campus. Biofuels Processes Specialized Certificate The Biofuels Processes certificate program provides students with a comprehensive view of the landscape of biofuels research and production, analysis and downstream processing, as well as project management and other business skills required to excel in a management-level biofuels position. NOTE: This program is offered entirely online. No laboratory components are required. This Certificate Program offers college graduates, farmers, teachers,and entrepreneurs technical exposure to Biofuels science and technology topics that address environmental, economic, social, and other Biofuels-related issues. Depleting fossil fuel reserves and adverse effects of fluctuating oil prices have reawakened interest in alternative, sustainable sources of energy, and this emerging sector will require a well-trained workforce. According to the US Bureau of Labor Statistics, with the recent government mandate enforcing the use of alternative fuels, demand for new types of fuel production is expected to rise. Biofuel-related occupations involve a broad range of education and experience. Although some occupations require a bachelor’s degree or higher, there are also opportunities in this field for those with related work experience. A new certificate program from the University of Washington will help chemists, environmental and sustainability professionals, health and safety professionals and product managers make informed product decisions that take into account sustainability, toxicity and human health concerns. The certificate in Green Chemistry & Chemical Stewardship will be offered through the Professional and Continuing Education program at the University of Washington. 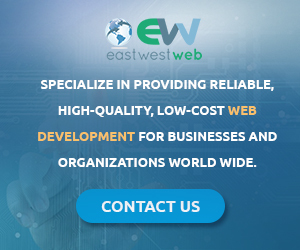 The classes will be offered sequentially, beginning in January, 2015, and concluding in August, 2015. Study the fundamental principles of green chemistry, which encourages the reduction in use of harmful substances through chemical design and material decision making processes. Examine the connection between chemicals, toxicity and human health and how these factors influence material and product decisions. Learn how to identify sustainability issues related to the adoption of green chemistry practices and how to apply your newly acquired knowledge and skills to promote chemical stewardship.